Are you frustrated by stymied relationships, missed connections, and the loneliness of the search for someone to spend the rest of your life with? Are you ready, instead, to find "The One"? 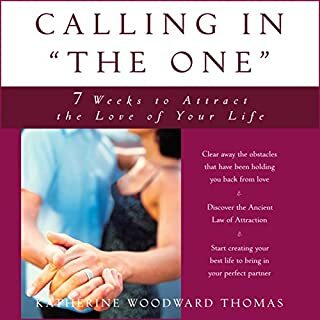 In Calling in "The One", Katherine Woodward Thomas shares her own personal experience to show women that in order to find the relationship that will last a lifetime, you have to be truly open and ready to create a loving, committed, romantic union. Calling in "The One" shows you how. While many of us may be better together, some of us can actually become better apart. What if you emerged from your divorce stronger and more resilient than ever before? 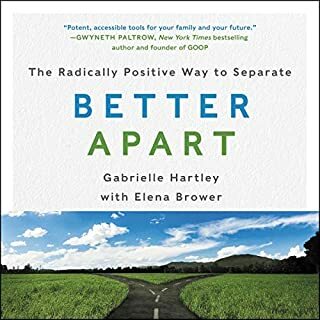 Better Apart is the first book to apply the life-changing, healing wisdom of meditation and yoga, combined with practical advice, to help anyone going through the painful and seemingly intractable realities of divorce. Gabrielle Hartley and Elena Brower are warm and caring guides who can help you compassionately part from your partner. 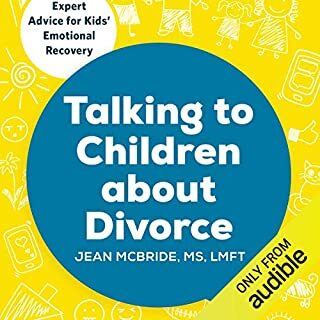 In Talking to Children About Divorce, Jean McBride provides you with the tools and encouragement to effectively communicate with your child about divorce. McBride brings her more than 25 years of specializing in divorce to guide you through crucial but difficult conversations and cultivate an environment of love and support throughout the divorce process. 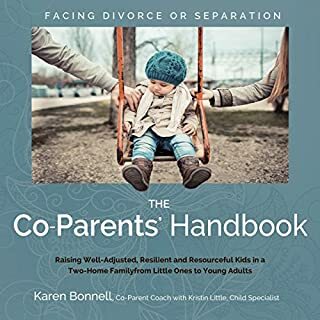 You’ll learn how to have honest conversations about different situations and emotions that may arise during divorce - from breaking the news to understanding resistance. In this intelligent and insightful book, Abigail Trafford charts the emotional journey of a breakup of a marriage, identifying the common phases in the evolution from marriage to separation to divorce, and eventually to a new life. 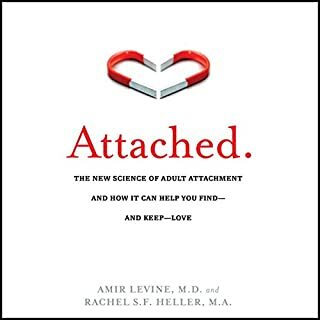 This revised edition includes the most up-to-date research on the personal and economic effects of divorce in adults and children's lives, addresses the special challenges of becoming single again in the age of the Internet, and broadens the experience of divorce to the breakup of all committed relationships. Real love starts with you. Loving someone else requires courage and vulnerability. And in order to create deep and authentic relationships that really go the distance, it's important to develop self-awareness and a willingness to take responsibility for your experiences. You've heard the saying, "You can't love anyone unless you love yourself first." But in the midst of life's distractions and society's myths of flawless romance, how exactly do you do that? It's well past time we became more grown up and less damaging in how we dissolve relationships. Conscious Uncoupling is a tried-and-true, step-by-step process for completing the old relationship while holding out for the possibility of generating a happier and healthier one. Katherine Woodward Thomas teaches listeners how to have difficult conversations with the other person in their relationship, how to clear away any toxic emotional residue left between them, and how to train one's social community to adjust to the new form of the relationship and behave respectfully toward both individuals. Conscious Uncoupling will also provide a cultural perspective on breakups and divorce and will help listeners understand their own experience inside of the larger context of society. And the book will initiate and support this new movement in culture by promoting greater awareness and introducing the critical skills to navigate the end of love in an empowered way. 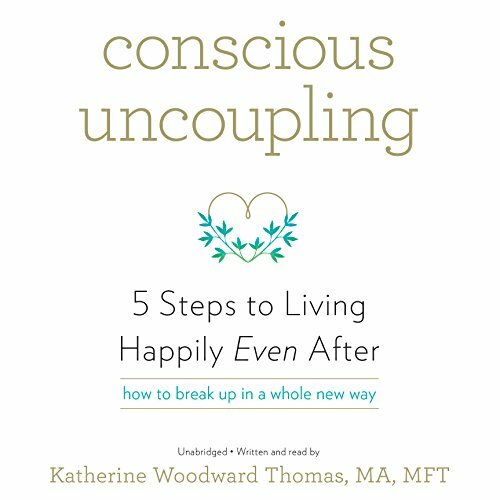 Conscious Uncoupling promises to be a substantial book that will inspire people to begin thinking differently about breakups and divorce in addition to helping them heal their heartbreak. ©2015 Katherine Woodward Thomas (P)2015 Blackstone Audio, Inc.
Wow, and I mean, wow. First off, I have to say that I definitely recommend this book to anyone and everyone. 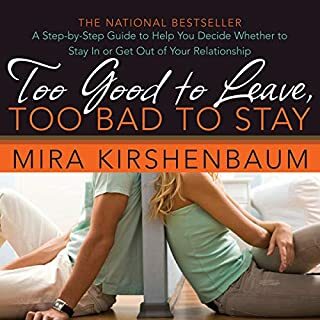 Gaining the insight and understanding of how to part ways/change the dynamic or status of a relationship is invaluable, and, I feel, is still not widely known in our (American) culture today. Having been through a less than amicable divorce myself (6 years of marriage after marrying at the age of 17), I really see the value of exiting/changing the status of a relationship in a more healthful way for everyone involved. Is it possible to end a marriage union without both parties downright attacking and cutting down the value of the other that they so committed their love to? I believed so. This book confirms it. Highly practical. Not easy by any stretch of the imagination, but relatively simple and massively more rewarding. I believe in the good of each of our relationships and bonds that we form. At one point, they were very good for us, and we knew it. Let us not discount the good experiences we have had and move forward, empowering each other to continue growing and find new happiness, instead of breaking one another down into pieces that take years and years to repair. A relationship that ends does not equate to a "failure." There were good things and good times. And then there was a change. Let us learn from this and everyone's right to their own free will. Let us end committed relationships with peace and blessings, not angst and hatred. This book encourages all of us to behave with more charity in our lives. It is good in a time when mostly what we see is pain being enchaned by selfish choices. Nothing to fear here, read it and put the principals to practice. She really needs to right a Conscious Recoupling version though much of it would be very similar. Holy hell the reader of this book is monotone depressing voice. If you are listening to this because you are trying to get over a break up YHIS WILL NOT HELP. Good god who picked this narrator ?? Transformational. paradigm shifting. sooo grateful. Do the exercises. Get a coach. Forgive, let go. Move on. Loved it. this is an excellent read for All who are seeking to grow and develop and deeper connection with self and others! Did not prove to be practical for me. The book was fine, stories were encouraging, and the reader was pleasant to listen to. What about Katherine Woodward Thomas MA MFT’s performance did you like? I enjoyed her voice and her stories were very intriguing. Was Conscious Uncoupling worth the listening time? It was, I just did not find it practical for me as I moved through my divorce. Very well done. Excellently read by the author. Great resources provided for more help available.